Gov. Gretchen Whitmer’s long-awaited plan to “fix the damn roads” revolves around raising the state’s gas tax by 45 cents in three increments. That will result in about $2.5 billion in new annual revenue for Michigan’s beleaguered infrastructure. The plan — the most anticipated part of Whitmer’s first budget to be presented on Tuesday — was first reported Monday by FOX-2. Whitmer spokeswoman Tiffany Brown confirmed some details of the plan to the Advance later on Monday. The proposal calls for three fuel tax increases of 15 cents every six months beginning on Oct. 1 of this year. The last hike would be one year later, so there wouldn’t be one large fuel tax increase. Whitmer’s plan does not include any new debt for the state. But Brown declined to comment on whether there are vehicle registration fee hikes or additional taxes or fees for heavy trucks. Michigan currently has the sixth-highest gas tax in the country and 14th-highest vehicle registration fees, according to a report released last week by the nonpartisan Citizens Research Council of Michigan. A boost to the gas tax was seen as one of the more likely outcomes in that report, which outlined various options to boost road funding. Whitmer’s plan is largely in line with one unveiled in January by a bipartisan group of ex-legislators who called for tripling the state’s gas tax to raise about $2.7 billion for the state’s roads. Former state Senate Majority Leader Ken Sikkema (R-Wyoming), who co-chairs the Michigan Consensus Policy Project, called Whitmer’s proposal “very consistent” with his group’s plan. He added that the governor’s blueprint is a “real plan,” something he said he hasn’t yet seen from the Legislature. Sikkema urged Republican legislators to adopt the plans outlined by his group or Whitmer — or present a viable one of their own. It’s unclear how much Whitmer’s proposed gas tax increase will cost the average driver. There are many variables, including differences in vehicles’ fuel efficiency and how much people drive. A report released Monday by the Detroit-based group Business Leaders for Michigan notes that deteriorating roads cost drivers an additional $686 every year in various costs and fees. Michiganders already are paying relatively high gas taxes as a result of a 2015 law signed by former Gov. Rick Snyder that will raise $1.2 billion annually in new revenue by 2021. That plan increased the gas tax from 19 cents per gallon to 26.3 cents. The diesel tax also got a big boost, from 15 cents per gallon to the same 26.3 cents. However, as the Advance has previously reported, there’s a general consensus that the need for more funding grows every year, as Michigan has underinvested in infrastructure. Studies have shown that the state has some of the worst roads. 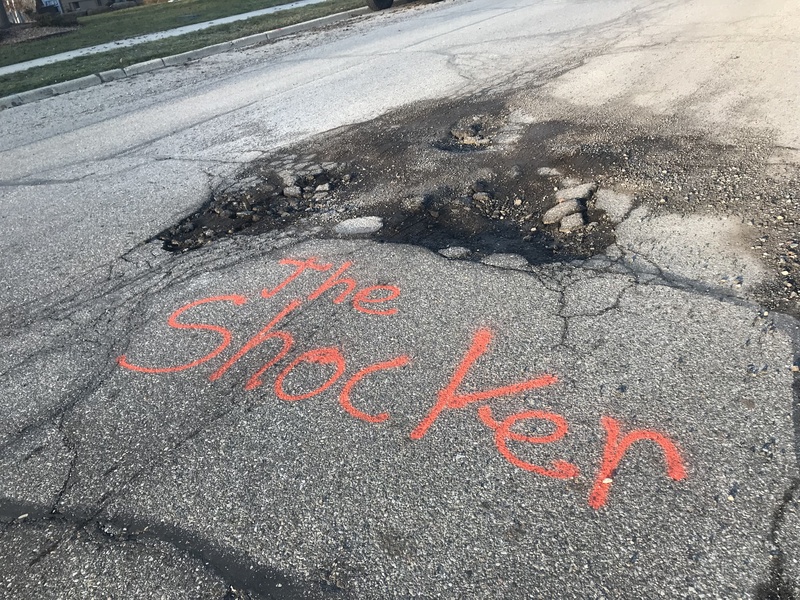 Whitmer identified the sorry state of Michigan’s roads as one of two crises affecting the state during her State of the State address last month. The other crisis was education, she said. The Advance reported the details of her plan to address education earlier on Monday, which includes more than $500 million increase for schools. It’s unclear how Whitmer’s road funding plan will play in the Republican-led Legislature. A spokesman for state House Speaker Lee Chatfield (R-Levering) declined to comment on Monday afternoon, saying his office would hold off until tomorrow after the governor’s presentation to the House and Senate appropriations committees. Meanwhile, state Senate Majority Leader Mike Shirkey (R-Clarklake) “would first like the governor to work with the Legislature to save families money by reforming car insurance,” according to spokeswoman Amber McCann. “Saving people money is the caucus priority before considering a gas tax increase,” McCann wrote in an email. Use some strategy, political and public opinion strategy, and describe accurately as tax RESTORATION, not tax INCREASE. We used to pay higher rates (as we should have) back when we had Blanchard (and maybe even Soapy) as governor.